Throughout Connecticut’s rich economic history, asbestos was used as a key component for developing commerce and industry. From the time it was introduced as a multi-purpose fire retardant, to the time it was understood to be hazardous, residents and workers were exposed to toxic asbestos fibers by the hundreds each day. The heaviest exposure rates were recorded between 1920 through the late 1980’s. An exposure of as little as 1-3 months would produce life threatening health problems which would manifest 10-50 years later, essentially creating a time lapse that would place victims in a delayed state of borrowed time until symptoms would manifest. In its asbestos hay day, Connecticut received and processed more than 200,000 shipments of asbestos, which in turn landed Connecticut the rank of the 29th state with the highest instances of Malignant Mesothelioma. The highest asbestos exposures came from Connecticut shipyards, factories, power and industrial plants, iron mills, steel mills, oil refineries, and construction sites that produced residential and commercial buildings. The use of asbestos in the Connecticut construction of residential and commercial buildings lead to the exposure of teachers, children and many non-construction related personnel. Others were exposed without their knowledge through the use of products containing asbestos that were mislabeled or from products that came from a manufacturer that was unaware of the damage their products were inflicting. Workers were not only exposed without their knowledge while using equipment containing asbestos, like gloves and aprons, but also to air born particles that were inside packaging and industrial parts. Many workers unknowingly exposed their families to second hand asbestos exposure upon returning home from a job site with contaminated clothing. In Connecticut alone, there have been over 500 asbestos related deaths and counting due to asbestos exposure. Over 600 locations in Connecticut have at one time reported asbestos exposure. The tragic result was the loss and suffering of the people who built Connecticut. The cause was economic negligence. Those who have been exposed to asbestos and developed asbestos related diseases should contact a Connecticut Mesothelioma Lawyer to get compensation for their pain and suffering. If you have lost a loved one to asbestos related cancer, you may also be entitled to compensation. We help Mesothelioma patients and their families make educated decisions about how to start with filing asbestos and Mesothelioma claims. We will also recommend an experienced Connecticut Mesothelioma Lawyer or Connecticut Mesothelioma Doctor to help you get your claim started. We have helped many families get experienced legal and medical help for their Mesothelioma cancer and asbestos cancer cases. 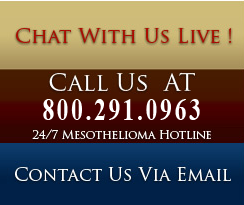 We will actually walk you through the process of contacting an experienced Connecticut Mesothelioma lawyer that we have worked with to get you the best possible settlement for your Connecticut Mesothelioma claim. Deciding which Connecticut Mesothelioma law firm to represent you and your case is very important. Choosing the right lawyer will also be important to your Connecticut Mesothelioma settlement. Many Mesothelioma and asbestos cancer cases in Connecticut have settled with multi-million dollar verdicts. Mesothelioma cases are contingency based cases. This means that no money should be paid by you. Mesothelioma lawyers earn their money only if they win you case. You are entitled to an experienced Connecticut Mesothelioma lawyer that has a track record of success in Connecticut asbestos lawsuits. Experience - The Mesothelioma Help Center has been helping Connecticut Mesothelioma victims and their families for more than 12 years. Asbestos companies knew of the dangers of asbestos exposure in Connecticut for many years before ever warning the public of those risks. It is thought that around eight million people in the United States have been exposed to asbestos over the past half a century, and many more asbestos related cancer cases are expected to be reported in the next 25 years. We will walk you the process of getting connected with a Connecticut Mesothelioma Lawyer.